Dissent breathes life into a democracy, which is why when you stifle free speech, you strangle your democracy. Sadly, freedom of speech and democracy have never felt as suffocated in India as they feel today. This is a normal way of expressing displeasure and discontent with the functioning of a government, but the reaction to her protest is what comes as a surprise. 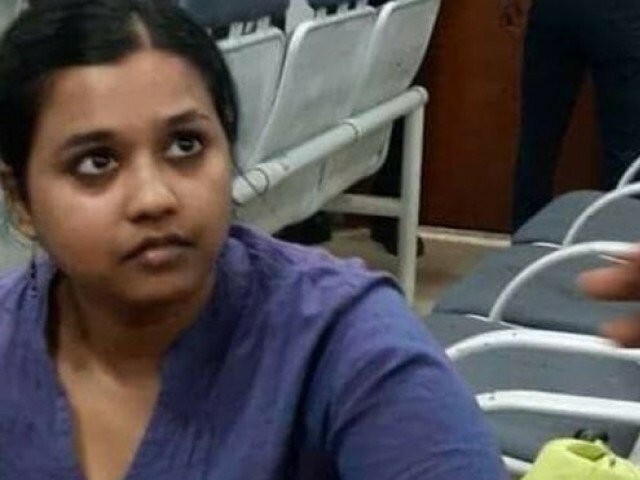 The police arrested Sofia on the complaint of the BJP chief, and punished her with detention for 15 days. Luckily, she managed to get unconditional bail the next day. The BJP leader argued that she suspected the young girl belonged to some organisation and that she found Sofia’s behaviour suspicious, which is why she complained to the police. However, this has been the pattern of the BJP government ever since it came to power four years ago. Anyone opposing its policies or Prime Minister Narendra Modi is termed anti-national or a threat to the nation, and thus deserving of punishment. Sofia is a student in Canada and came to India to meet her parents, but her anguish at the functioning of the government in Delhi made her protest in front of the BJP leader at the airport. This is a normal – some might even say healthy – way of venting of anger in a democratic country. But the BJP sees this as a threat. Days before this incident, the government swooped upon some prominent activists and academics and arrested them for being ‘urban Naxals’, a term they use for those supporting Maoist rebels in the country. These are the people who fight for justice for the tribal and marginalised communities in the country, whom the government wants to uproot from their natural habitat in the name of development. The Supreme Court intervened and stayed the arrest of these citizens, who are now under house arrest, waiting for further intervention from the court to get justice. It would be safe to say that an atmosphere of fear prevails in the country today. Under the leadership of PM Modi, democracy is struggling for air. This is the irony of history that a man who received a historic and democratic mandate in 2014 is now turning against that mandate, trying to stifle the very voices that brought him into power. In the last four years, his government has tried to weaken democratic institutions, suppress freedom of speech and create a majoritarian political culture where voices of dissent are either pushed to the margin or suppressed entirely. The attack on religious minorities has never been as intense as it is now. Lynching in the name of beef or love jihad has become a common practice under the BJP regime, with central ministers greeting the violent criminals behind the killings with garlands of their own. On the other hand, the media has never been as subservient as it is now. Three senior journalists were recently forced to resign for doing programmes critical of the BJP government and Modi. Reports suggest the government forced the bigwigs of the channel to sack these professionals in order to remain in the good graces of the regime. Today, except for a few websites and news channels, most of the media houses have simply become a mouthpiece of the government. Subsequently, those who dare to challenge the government’s narrative are either killed or maimed. Rachna Khera, a journalist working for The Tribune, was harassed and faced criminal charges for exposing the faults in Modi’s pet project, the Aadhar card. Her investigative reports showed how the data for making the cards could be manipulated, and how easy it was for anyone to acquire such an important card, one the Indian government wants to promote as a national identity card. Take the case of Gauri Lankesh, who was running a local newspaper from the South Indian city of Bangalore. Her views were not only anti-government, but also very critical of Hinduism as practised by the BJP and its ideological and fraternal organisation. Last year, she was murdered in front of her house and the killers made it amply clear that she fell victim to ideological hatred. This is not an isolated incident. Three journalists were killed in March in Madhya Pradesh for exposing the links between the mafia and politicians in the state. The state is run by the BJP. Universities have historically been the platform for healthy dissent and resistance. However, even the atmosphere in university campuses has become regimented. Universities dread inviting contrarian voices in fear of debating or challenging the government’s narrative. Bringing up Kashmir has become next to impossible. Any attempt to challenge or question the government’s narrative only makes room for arrest, violence or worse. The frequent controversies surrounding the Jawaharlal Nehru University (JNU), such as charges of sedition levied on students over a protest, are proof the BJP wants to control all the liberal spaces that have shaped India for more than seven decades. What Modi has done in his tenure thus far is attack the very soul of democracy. It’s an undeclared emergency the country is passing through, for never before have we experienced an atmosphere where we constantly have to check ourselves, as we constantly feel under surveillance. Real or not, the deep state seems to be watching you. In the next six months, India will face an election of its own. The fight will be bigger, and things will only get uglier as the BJP does whatever needs to be done to win. However, in the fight to win, the soul of the Indian democracy may die in the process. Like Sofia, we all have anger inside of us bursting to come out, but not all of us are brave enough to speak up, for we all know there will be consequences. The girl was arrested for creating nuisance in an aircraft which is a crime under DGCA rules. The article says she was at the airport and not inside an aircraft …… the author needs to clarify this because it changes the picture. She created nuisance in aircraft AND AGAIN at Airport. Freedom is not absolute. There are ways to express your opinions in democracy. You can’t create nuisance at a public place shouting slogans. It was inside the aircraft. Many reports on this but this writer has conveniently (and deliberately) omitted this. While there have been occasions when the government has clamped down too harshly, this is not one of them. You don’t get it, do you? She was protesting in her OWN COUNTRY. Her country is called BHARAT. The world’s largest democracy. No. It does not changes any picture. India is a full of hate fascist country. minorities, low castes, in Hindustan, within,10 years from now. single word against the Selfie King/Saffron Lord of the Hindutva Nation. who does not believe in any kind of opposition. Firm believer in a minority free Hindia. Modi Sarkar’s rule is absolute. Make no mistake. Like Hitler’s. There is something called ‘freedom of speech’ in Hinduland’s constitution, but you never heard of it. She is not infringing on your freedom, she is bravely voicing her fears. There is such a thing as ‘freedom of speech’. Which you never heard of. Modi Sarkar and his henchmen. If it was up to YOU, there would be no demonstrations, or raising their voices by any caste or creed, or sect, or religious persuasion, that YOU don’t like. Pradesh, or what is going on in Assam.